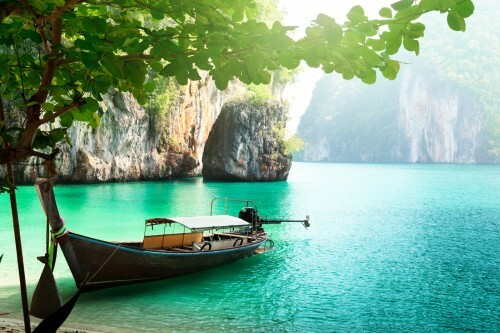 Last minute direct flights to Thailand: Phuket for only €206!! If you are a flexible traveler in desire to get in warmer weather NOW you just found a perfect deal. Return direct flights from Zurich to Phuket in Thailand are available for only €206! There are just few seats left so you better book right ahead before it’s gone. Normal tickets to Phuket from Europe cost at least €500. 20 kg check-in luggage is included. These are direct flights with no stopover so you don’t waste any time with transfers! Use Momondo to find connecting flights to Zurich from any airport in Europe or take cheap Flixbus bus. If you look for accommodation you can get €20 free credit for AirBnb from us. Use Google translator to translate the website into your language if needed. Phuket offers extensive range of accommodation from cheapest hostels and guesthouses for few Euros per night to super luxurious 5 star hotels. You won’t spend much money in the country itself either as it’s pretty cheap. « HIT! Cheap flights to Sri Lanka, Maldives and Thailand from Prague for €324 / 8778 CZK!